New National Road is a peculiar communication backbone of the northern coast of Crete. A significant part of tourist traffic is carried out through this road. 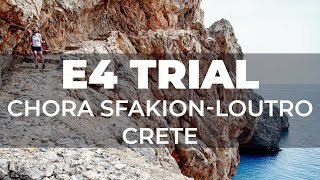 However, due to the difficult mountainous terrain, not all areas of the island are as well connected as the northern part of Crete. The wild south coast of the western part of the island has its own maritime equivalent of this land route - it is a permanent ferry connection connecting the most important towns of this region. Several times during the day the ships sail on the route connecting the city of Paleochora with Chora Sfakion . On the way, they also call at the port of Sougia, Agia Roumeli and Loutro . 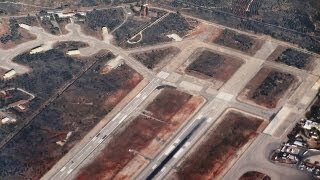 The film depicts the unloading of people and vehicles in the port of Chora Sfakion. In the summer season, the vast majority of disembarking travelers are tourists who have crossed the Samaria Gorge. A ferry ride is the final stage of their trip ... after descending ashore they will soon get on buses that will take them to hotels. 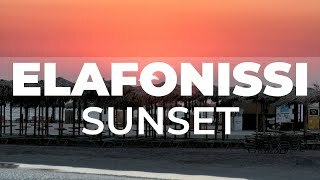 We would like to present you a short film from the sunset on Elafonisi beach. We suggest you sit comfortably in the chair, turn on the full screen and let yourself be absorbed by the beautiful colors that the beach emanates in the evening.